625 Renshaw Street Rochester, MI. | MLS# 218082877 | The premier resource for all real estate information and services in Metro Detroit. 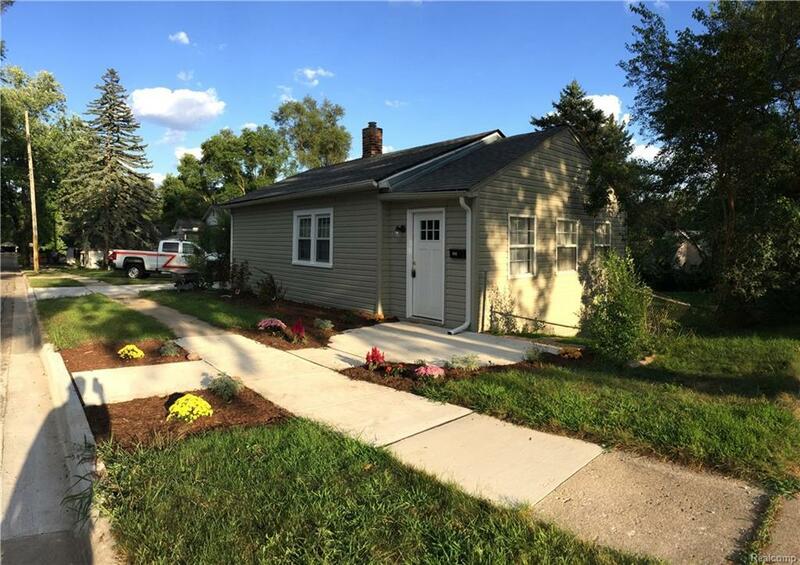 If you are looking for a Cute & Cozy home in the city of Rochester then you have found it! This newly updated 3 Bedroom, 2 Full Bathroom home is walking distance from Downtown Rochester! Two bedrooms on the main level and one in the lower level. The lower level has a walk out access to the backyard! This could even be a rental space as it has its own access. Cook those delicious meals in your newly updated kitchen with granite counters, new stove, new fridge, new dishwasher, new microwave and new wine fridge. A full bath on the main level. New hard wood floors on the main level. New roof. New light fixtures throughout. Enjoy the large backyard for entertaining. This home also has a driveway which is a rare find in the area. This home also comes with a 1 year home warranty!